Under many houses in Brisbane is an area seldom entered and rarely explored. Sometimes there is room to comfortably stand and there may even be a concrete floor. In high-set Queenslanders you may even find a laundry here. In other houses, particularly cavity brick style homes, it can be a cave of horrors. It is the area we refer to as the subfloor. Basically, if the house is off the ground but doesn’t have legal clearance to build underneath you have a subfloor. Most often this is a soil area under the floorboards, but with near legal height it is sometimes built in or concreted. It can be a useful storage area, as long as you are careful with what your store and how you stored it. Never store timber, paper or cardboard on soil or over slab joints. Termites love paper and cardboard particularly, after all its basically pre-chewed timber, very high in cellulose. Keep all stored items in the middle of rooms downstairs if there is low clearance, stored items like tiles or sheeting against brickwork can conceal mud tubes as they reach for your floor bearers. Out of the reach of the desiccating sun, termites are free to explore with more freedom. This can be exacerbated by poor ventilation or drainage issues. Inadequate ventilation encourages the growth of decay fungi and mould which are bad for your health in any case. Poor drainage in a subfloor can leave it flooded or damp for months after a decent rain. 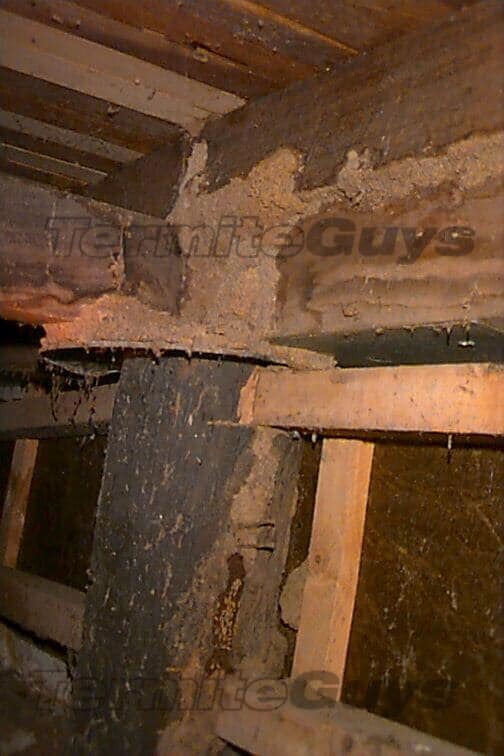 Termites are very skilled at locating moisture sources and are sure to make a beeline for such areas. It won’t be long before foraging from such areas produces results. It is the forgotten realm of many houses. A place where lost tennis balls and old paint drums lurk. 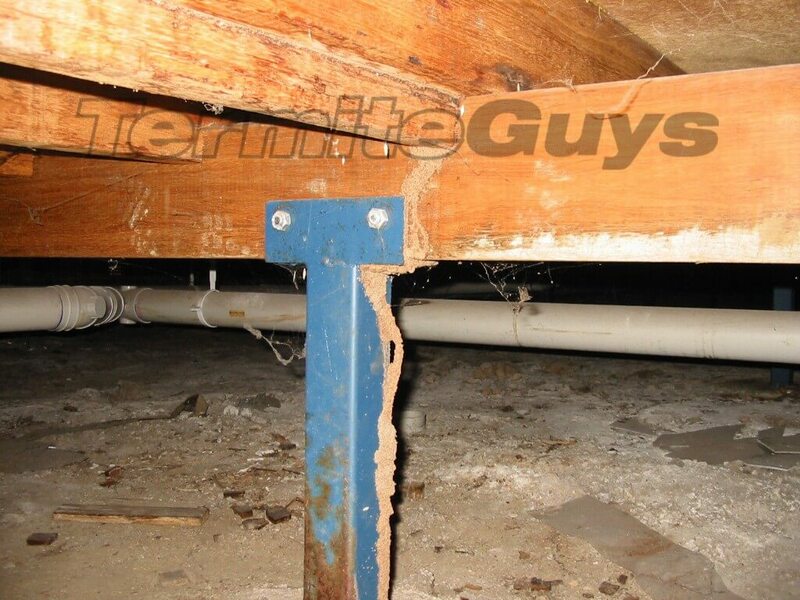 Thorough inspection of this area is key to identification of termite problems, even if it means fighting it out with spiders and awkwardly placed pipes. Termites have an uncanny knack of exploiting the most inaccessible areas; if it’s too low to access consider installing a manhole so you can take a peek. The denizens of such places can be a bit scary but nowhere near as scary as getting your house destroyed. 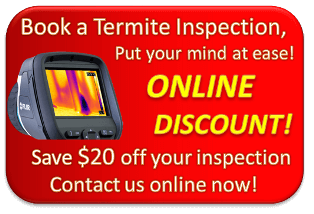 We pride ourselves at Termite Guys on our thoroughness in such situations. Just please forgive the cursing as we grovel through underneath the floor and excuse the cobwebs in our hair when we present you with your paperwork!